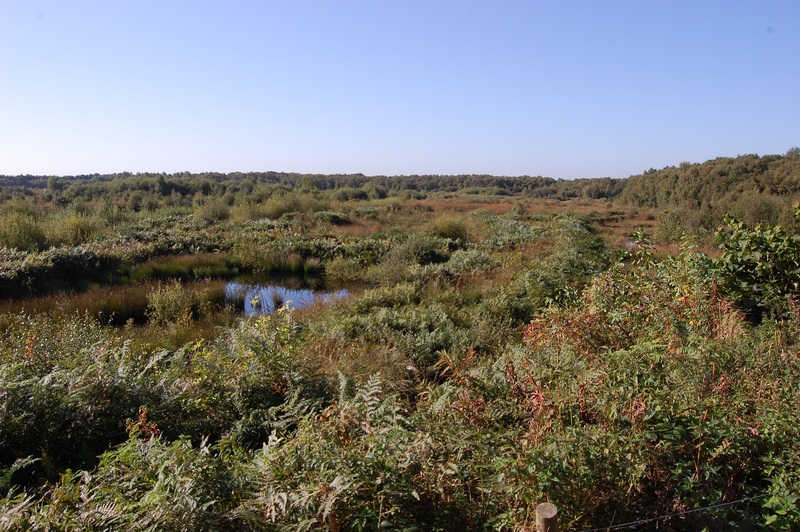 Risley Moss is a remnant lowland raised bog that was created following the last Ice Age. It is locally referred to as the ‘mossland’. It is part of the Manchester Mosses Special Area of Conservation (SAC) and is is a designated Site of Special Scientific Interest (SSSI) because of its rare mossland habitat and plants. It is also a Local Nature Reserve (LNR). Risley Moss is located in the north-eastern corner of Warrington, Cheshire, off the A574 near to Junction 11 of the M62. There are brown road signs that lead to the site. The site post code is WA3 6QX (View map). The site is open for 6 days a week (closed Fridays). The main feature of Risley Moss (Risley Moss Map) is the mossland which occupies about two thirds of the overall 85 hectare (220 acre) site. The mossland is not routinely open to the public other than on special Ranger led guided walks (See Events Page) due to the sensitive habitat, but there is open public daytime access to the woodland areas along well maintained paths. A separate area called the mini-moss has been developed which allows public access to a mossland type habitat in the early stages of restoration. You can get stunning views of the mossland from the raised Observation Tower. 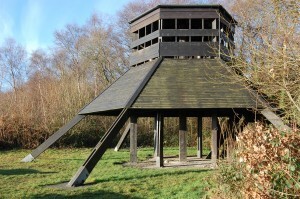 The Tower has additional information inside relating to bird species and landscape layouts. 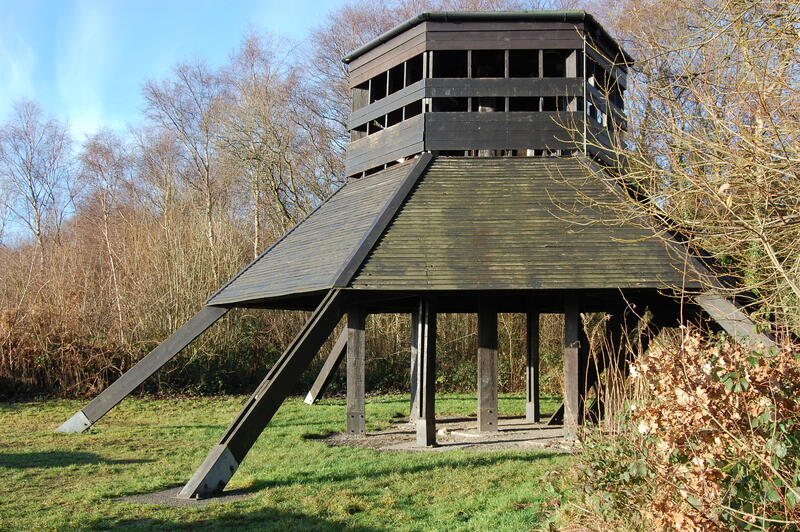 There is also a winter bird feeding station at the Hide in the woodland. Risley Moss is managed by the Ranger Service of Warrington Borough Council under the guidance of Natural England, with the objective of the restoration of active lowland raised bog to achieve ‘favourable condition’ as defined by the Favourable Condition Tables and Habitat Regulation 7120 (Degraded Bog Capable of Restoration). I’m President of the Bebington Photographic Society. I’ve just been visiting your website and realised that it must be the best part of 20 years since I was last at Risley Moss. Several of our Members are also members of the Cheshire Willife Trust and I’m sure would welcome a visit to Risley. I’ll certainly be coming back again. Please keep up the good work. I am sure that you would be pleasantly surprised at how well everything is at the reserve. Please do come and seen the reserve, all the work is down to the Rangers working in conjunction with Natural England, with our support and the SSSI is now in the improving band of the designation.